Japan is one of the well-known countries for viewing Cherry Blossom. Foreigners and local people love spring and purposely plan to best spots to catch sakura. To celebrate an amazing season, many companies release limited seasonal sweets and products in Japan. Today, I would like to introduce pink sweets – Mount Baum that you can have it in Japan. 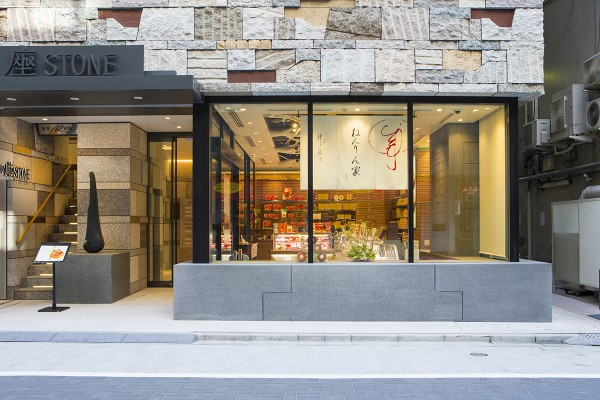 Nenrinya is one of the best baumkuchen store in Japan and there have many people queue in front of the store every day. 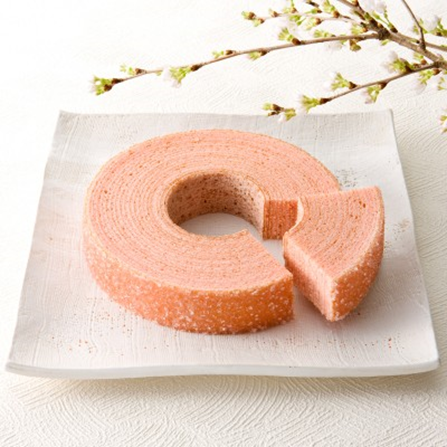 Baumkuchen means tree cake where it has many thin layers. Each layer of batter is brushed on a rotating spit and browned before another layer is applied. In this spring season, they offer Mount Baum cherry blossom. The sharp is look like mountain and color is pink. It is made from cherry leaf scented syrup in the dough and outside is crispy and inside is moist. You can have an extraordinary texture and aroma of sakura after the first bite. 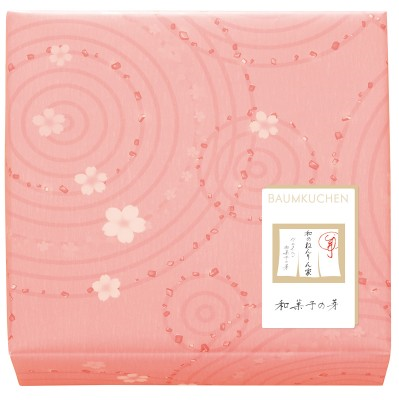 If you want to purchase souvenir and bring back home, Baumkuchen is great souvenir for everyone. A whole cake is 700 yen (tax excluded) where it is available until middle of April 2018. Nenrinya also released Spring Sakura Straight for celebrating this spring season. 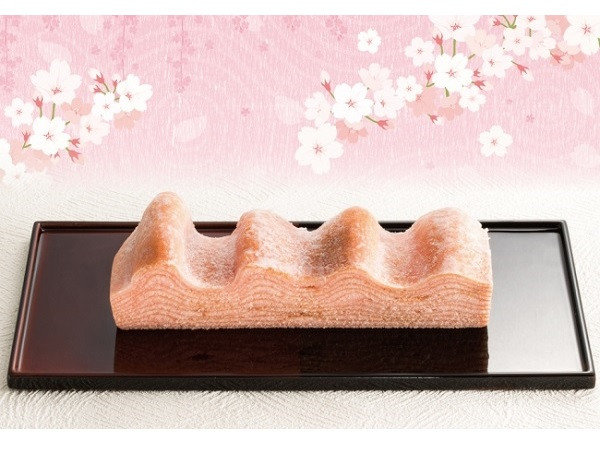 It is same as Mount Baum cherry blossom, they melt sakura leaf extract into the dough and layer it. The soft and smooth taste with crispy granulated sugar is super good. Your mouth full of cherry blossom scent when you put into your mouth. There also provide cute cherry blossom package with pink color. No doubt, this is the best souvenir in this spring season. The price is only 700 yen (tax excluded) for 5 pieces and 1000 yen (tax excluded) per pack. You can find it at Ginza main outlet, Daimaru outlet, Seibu Ikebukuro outlet, Tokyo station outlet, Haneda airport and Sogo Yokohama. Thanks for reading my article and don't forget to like click LIKE to support me.